Forms have been completed. anchors are down, and the next phase of my career has begun. 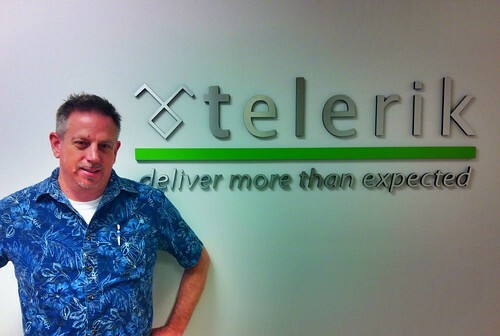 This week, I signed aboard my new post as part of telerik’s software testing tools group. The department I’m joining is in Austin Texas. No, we’re not moving. I’ll be working out of my home office (and Atlanta Hartsfield-Jackson International Airport). As telerik’s Test Studio Evangelist, I’ll be engaging with the testing community: attending and speaking at conferences, visiting customer sites, blogging, webcasting, and the like, all with the purpose of raising awareness of methods & techniques of software test automation. Most of all, I’m looking forward to learning a lot. Fortunately I’m going to be surrounded by some of the best people in software development & testing. I’d offer “Good Luck”, but I know that LUCK has nothing to do with success. You have the skills, knowledge and determination to succeed. Congrats, sounds like a great opportunity for you!